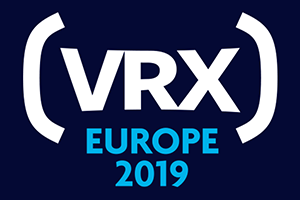 VRX Europe 2019 is the continent’s premier B2B event for senior business leaders in XR and immersive tech. Covering enterprise, consumer entertainment, technology and investment, VRX Europe features some of the leading innovators in VR & AR; with confirmed speakers from Magic Leap, Google, HTC, Sky, Bayer, Heijmans, BASF, AECOM, Deutsche Telekom, nDreams, BMW, BBC, KLM and many more. Gain market insights, form new partnerships and find short and long term XR business success. For more information on the event, and to purchase tickets, please visit: events.vr-intelligence.com/europe. Dutch Games Association members get a 15% discount on tickets, contact us for your code!